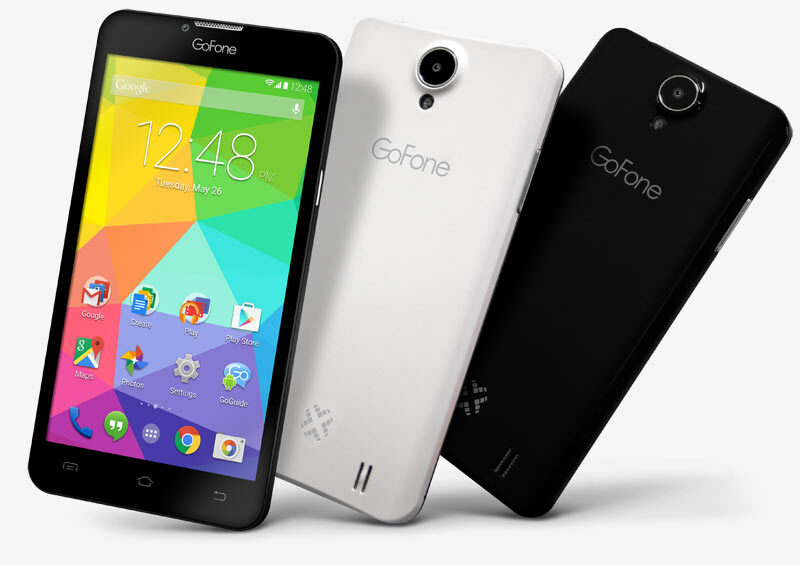 The 5″ GoFone™ X gives you a big screen on a small budget. Nowadays, big is best. The IPS screen is amazing for enjoying apps, games, photos and streaming video, and with a capacitive multi-touch screen, you can see and do more. Both ‘Jet Black’ and ‘Pearl White’ covers are included in the box so you can ‘clip it in’ and ‘style it out’ to suit your taste. 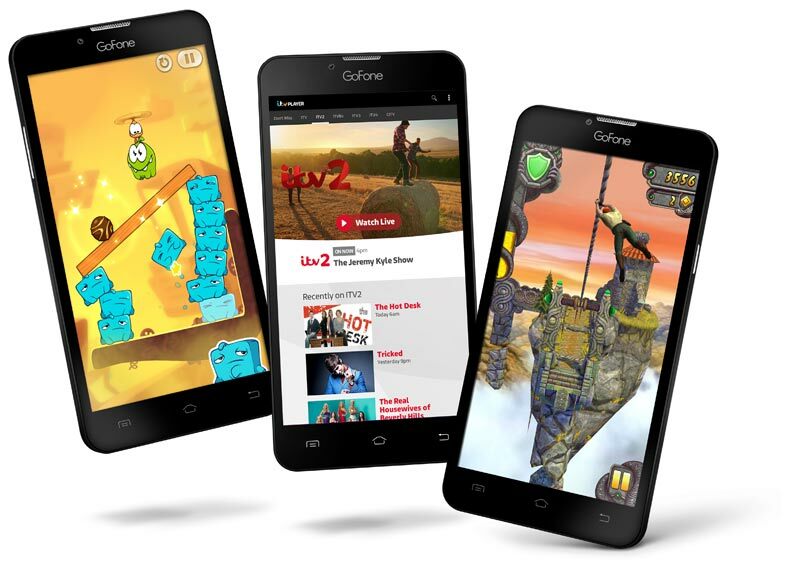 With Android™ 4.4.4 Kitkat™, the 5″ GoFone X™ puts you in good company with over 1 Billion Android users. 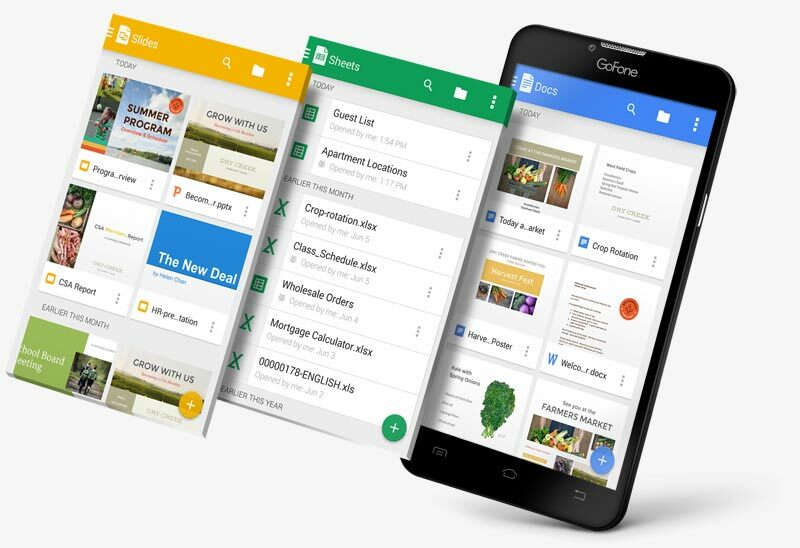 Get awesome features like ‘OK Google’ voice control, Google Now and now over 1 Million Apps for almost anything you can think of! Stay connected* to internet & email when you’re on the go. Connect to 3G when you’re out and about, or Wi-Fi at home to get online, and navigate using Sat Nav GPS to get where you’re going. 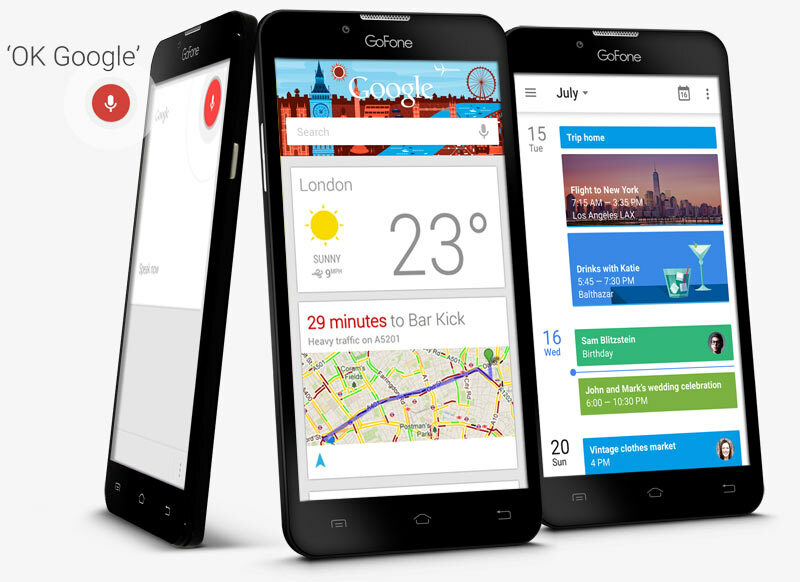 GoFone X lets you stay connected with the people you love in more ways than ever. You can Phone, Text Message, Messenger, Hangout™, Skype™, eMail, Video conference or Chat to your heart’s content. 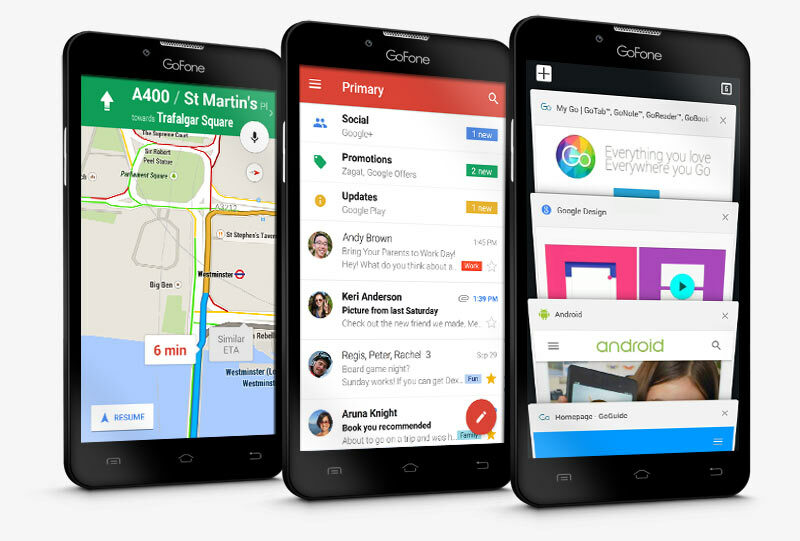 GoFone has 2 SIM slots, so you can have have 1 number for home, and 1 for work. It also lets you have 2 network plans so its great if you go abroad as you can get the best deal. GF50X supports 1 x Mini SIM + 1 x Micro SIM cards. Make a healthy change in your life by becoming more active, motivated and aware of your fitness & eating habits*. 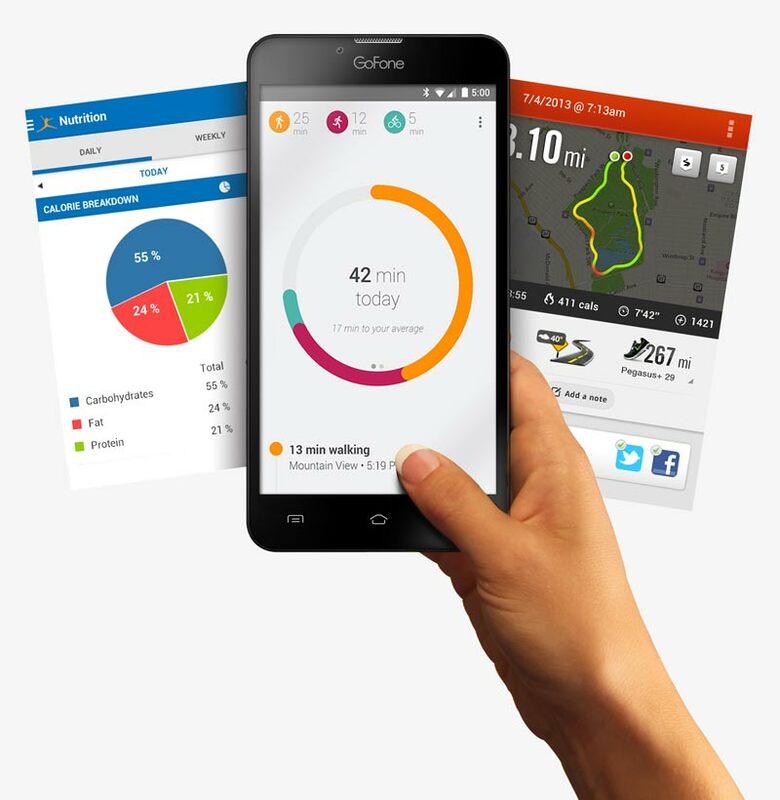 Track your activity on the GoFone X, see your progress throughout the day, get performance-based recommendations and try to reach the fitness goals you set. The best camera is always the one you have with you. 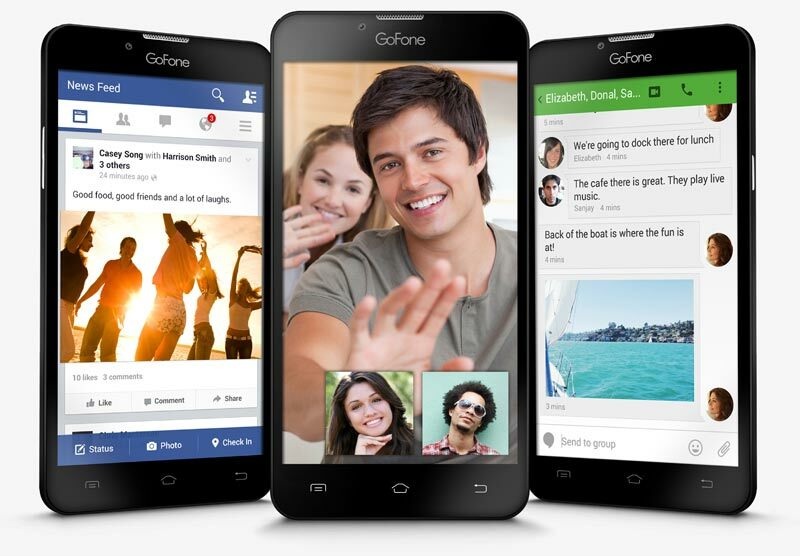 With the GoFone X you have an 8MP digital camera in your pocket to capture the moment everywhere you go. Theres even a ‘panoramic mode’ so you take take amazing sweeping shots of the landscape! Take awesome selfies on the front 2MP camera, or make video calls to friends and family near and far. Protect your GoFone from scratches and knocks. *Google Account, Play Store, Google Drive, 15GB Free Google Drive Cloud Storage access require signup to Terms & Conditions. 15GB Free Google Drive storage correct at time of press. *Third party devices are not supported by our Helpdesk, and we cannot offer compatibility advice. *Requires Internet Access which may be chargeable. 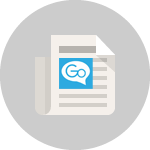 Requires signup for free Google Account, and free download. Some services require 3G / Data / Wi-Fi connectivity, Location Services, and other personal data to perform. Terms and Conditions apply. ** 8GB = 8 Billion bytes. Actual formatted capacity is less and storage quoted has ~3GB storage occupied by Android OS and amazing Preloaded Apps. Some apps shown are not pre-loaded but all are available at time of press, some may be chargeable. Streaming BBC iPlayer or BBC iPlayer Radio requires you to be a UK resident and to have paid for the Licence Fee Specification subject to change without notice.